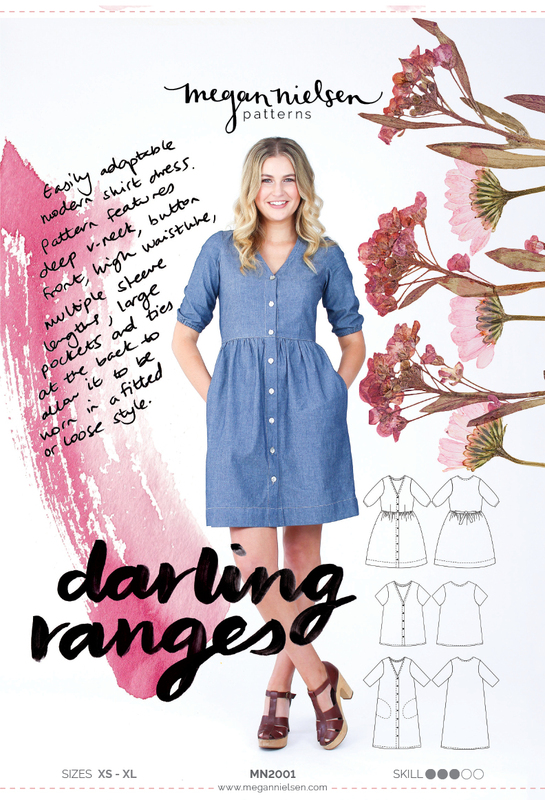 The Darling Ranges dress is a low cut dress with a deep v neck – so if you’re not particularly a fan of low cut styles – you may want to learn how to raise the neckline a bit. 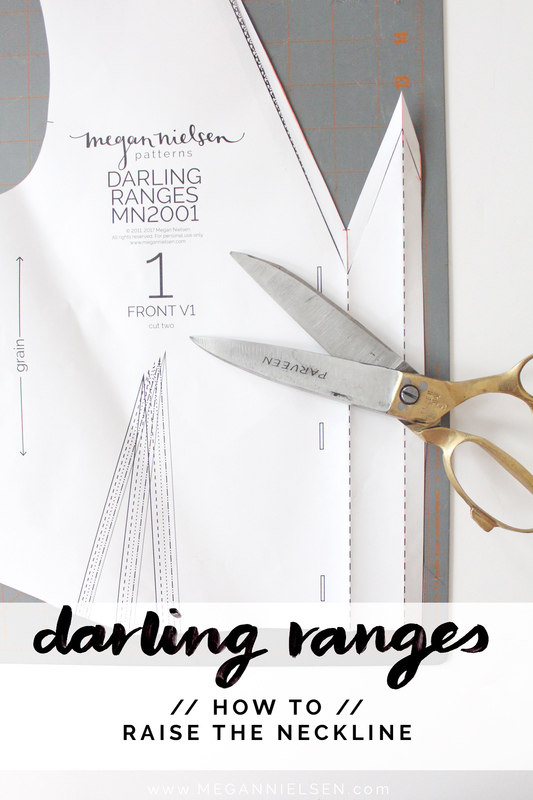 Add some more pattern paper behind the neckline of your bodice pattern and tape it in place. Decide how much higher you’d like the neckline. I wish I could give a guide for you on this, but unfortunately how deep the neckline is will differ based on your body shape and your personal preferences – the best indication you can get is from where it sits in relation to things like the bust points and armsyces. 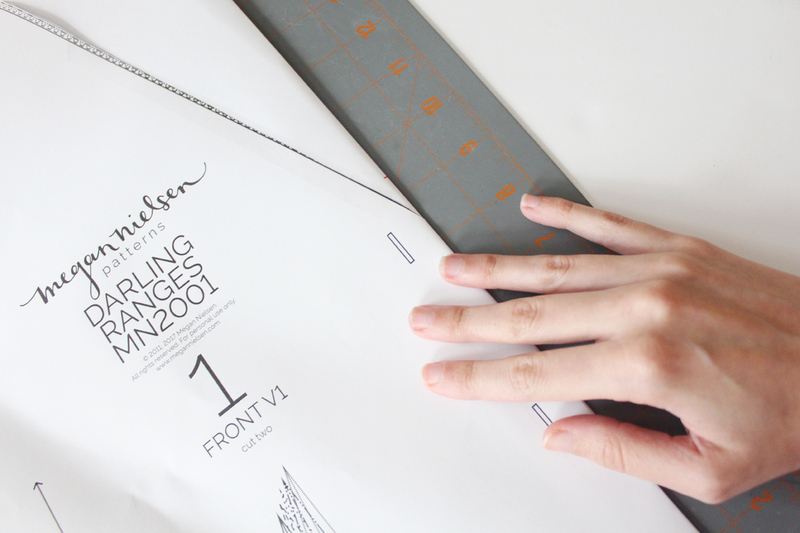 Once you’ve decide how much you’d like to raise it by, use your ruler to mark a point above the centre fold of the placket. I did 1″. Fold the placket along the fold lines as you would do with the fabric. 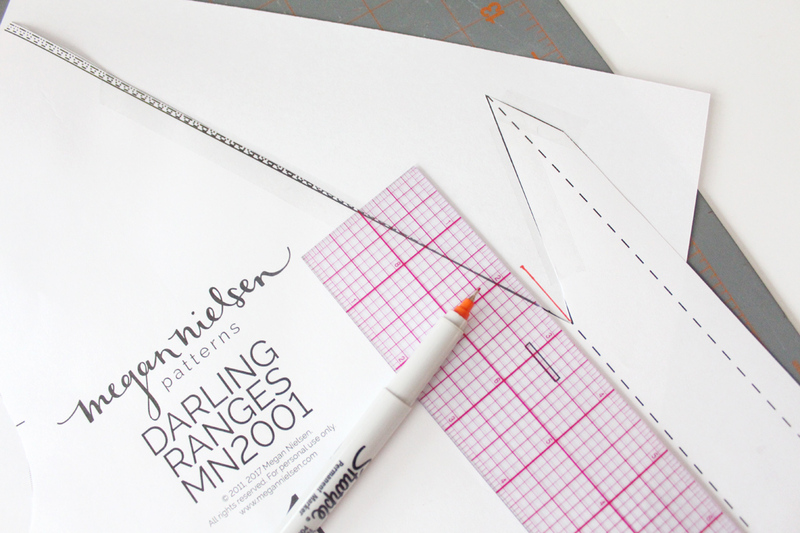 Now draw a new neckline from the top of the new fold line you drew and the inner of the shoulder. 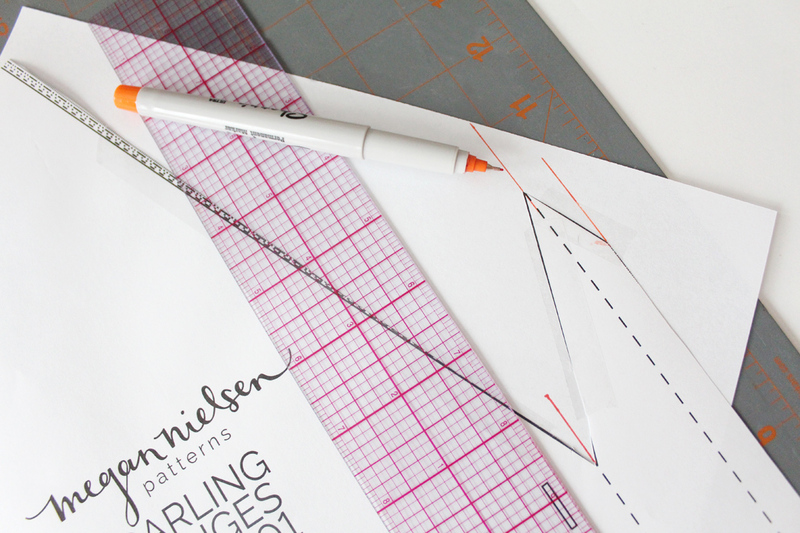 Pull out your scissors and cut along this line while the paper is still folded. 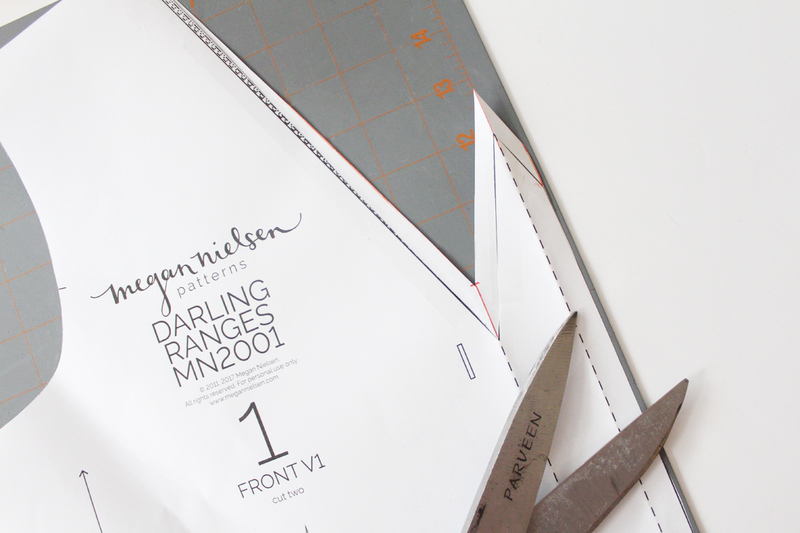 This is the easiest way to accurate transfer the new neckline shape along the placket. Unfold your pattern, and you’re ready to go! Keep in mind that by raising the neckline you may need to add more buttons or change the arrangement of the buttons so that the finished dress closes nicely. 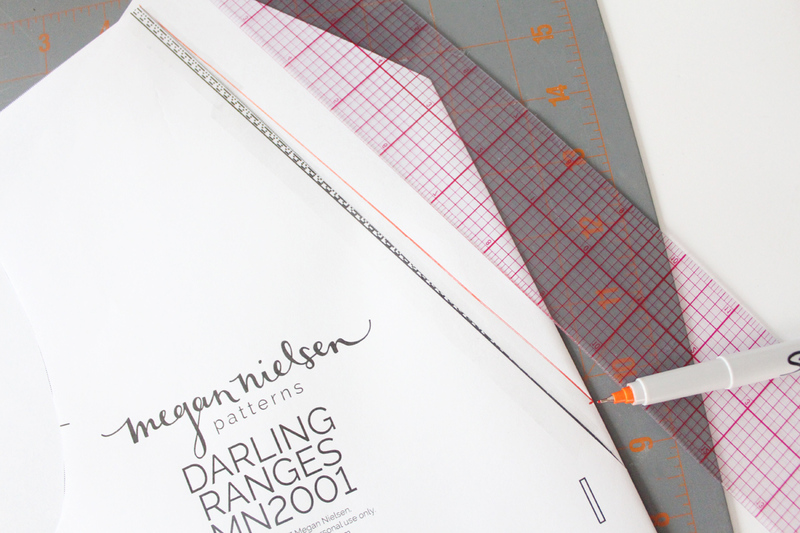 I think this will finally be the only change I will make on your pattern. My Mom came to visit today and told me it looked perfect on me (I was especially concerned about the bust dart being too high). Since I wear nursing bras at the moment, I think that the neckline is a bit low. Should I then start cutting the fabric? I have not seen this step in the schedule.